The bunker fuel supply and availability landscape is set to change when IMO’s global 0.5% fuel sulphur content cap regulation is enforced from 2020. To comply with the new regulation, shipowners have a few options to choose from, and one of those are exhaust gas cleaning systems – better known as scrubbers. 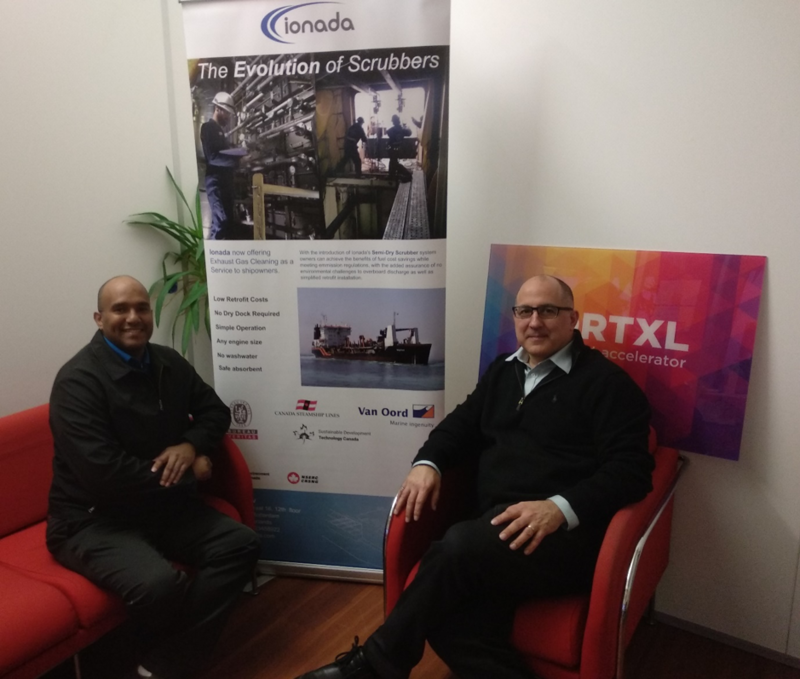 Scrubbers are Ionada’s speciality, and their approach is heavily beneficial to shipowners. “Our product treats exhaust gases, especially for large ships use heavy fuel oil that have a high level of sulphur content,” says Russel Maduro, Engineer at Ionada. This means that shipowners can continue to use low-cost heavy fuel oil while meeting new emission regulations. However, Ionada’s solution is far from common. Unlike the seawater-based or wet scrubbers frequently used in the maritime industry, the company is the first to bring a system commonly utilised in the powerplant industry – the dry scrubber. “We knew that the technology was proven on land-based systems, with about half of the power generation industry utilising it. Therefore, we saw an opportunity to bring the solution to maritime,” says Edorado. The path to success was not easy for Ionada. They faced a far too common foe in maritime – reluctancy to innovate. That particular encounter was a few years ago, and Edoardo himself admits that the traditionalist trend has been slowly changing. This is not just due to new regulations on exhaust gases, ballast water, carbon emissions which are forcing ship owners to embrace new clean technologies, but also accelerator programs that facilitate the introduction of innovation to maritime heavyweights. With the technology being new, or at least unfamiliar to the maritime industry, supervision is required to make sure that Ionada’s dry scrubbers are installed correctly. As such, Ionada provides clients with a turnkey service – the team goes aboard the vessel, conducts the engineering and installation processes, then trials and eventually does a handover to the shipowner. “In short, we are full service: design, engineering, and installation. We have partners that do a lot of the work and we focus on the core technology,” says Edoardo. Russell explains that Ionada trains the crew to use their systems, which takes a while to adjust to. “But once the crew sees that the system is very simple and easy to integrate into their maintenance system, there are little to no issues. Although the technology is very new, the components used are not unfamiliar to the crew – electric motors, blowers, etc,” says Russel. Simplicity is Ionada’s unique selling proposition. “Compared to the complexity and evasive nature of our competitor technologies, our technology seems much more of a practical solution to the shipowners. We are getting a lot of interest from both engineers and shipowners,” says Edoardo. 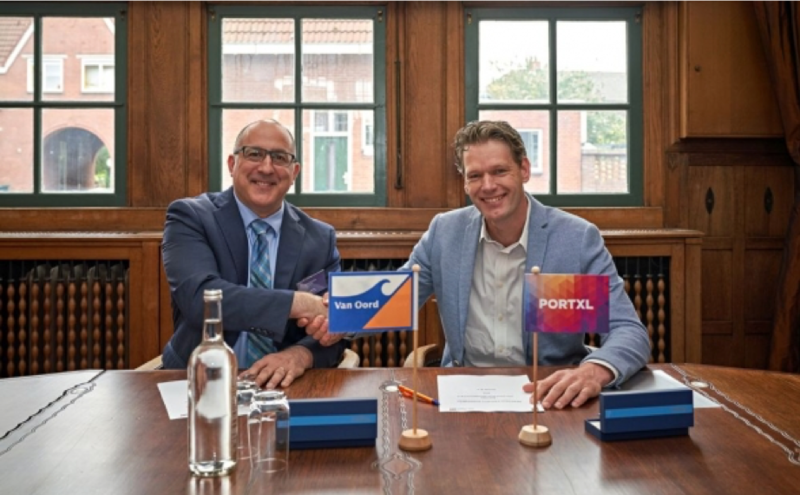 Earlier in the year, Ionada signed a pilot contract with maritime giant Van Oord, a project recently joined by Boskalis. The project has made good progress, with an endurance test being the only stage left before completion. According to Edoardo,Ionada is currently taking orders for commercial units which would be delivered after provisional testing has been completed. Like all companies, Ionada has to ensure quality in delivery. “There are some minor things to solve, of course: educating our suppliers on how the fabrication process should be conducted, so that the commissioning process is as smooth as possible – things every company goes through,” says Russel. On that note, the Ionada CEO has some words for any engineers or technicians who are reading this article while looking for new opportunities or challenges.